*note: if you buy through our links, you help keep us up and running… at no extra cost to you – in fact, you’re getting some pretty sweet deals out of it! 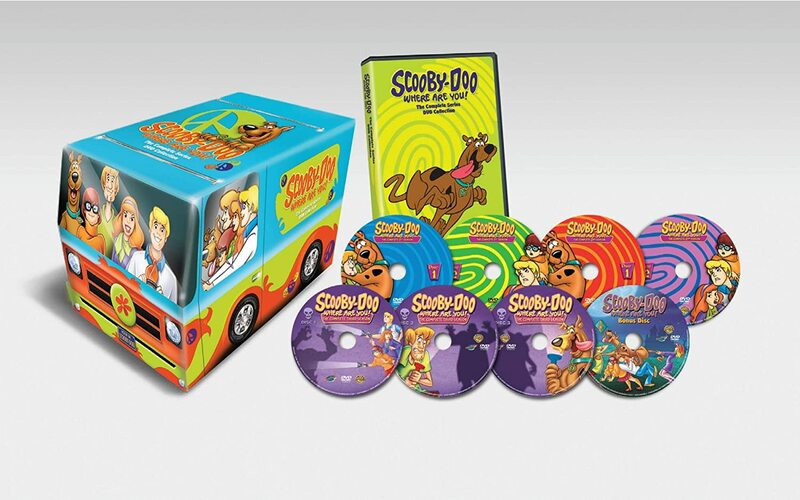 For a limited time and while supplies last, you can get this ridiculously cool box set – I say ridiculously cool for obvious reasons: THE DISCS COME IN THE MYSTERY MACHINE! – for significantly more than half off… 70%! We’ve actually been waiting to get this box set (and the one below) until there was a major price drop. It looks like now is that time! 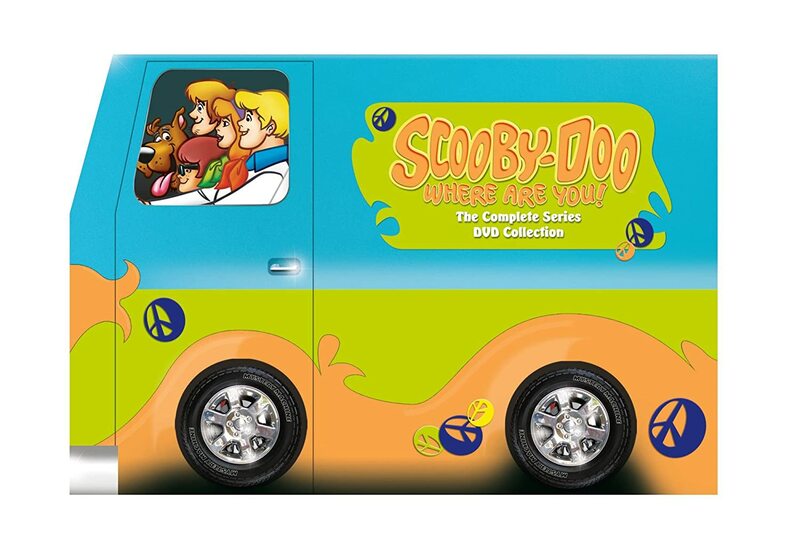 Order by clicking here to be taken to the deal page for Scooby-Doo, Where are You! : Complete Series before time’s up! 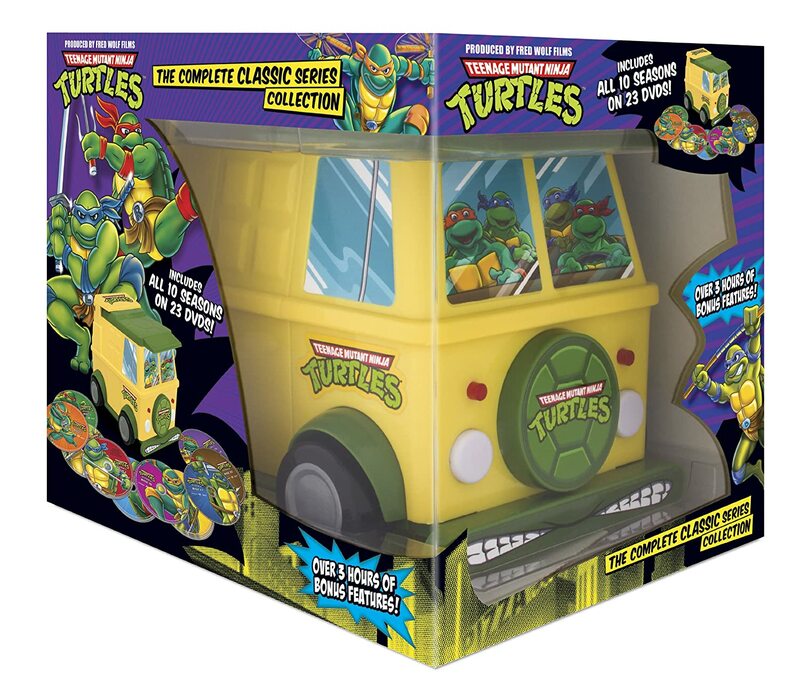 Like the above deal, you can snag the entire classic series of TMNT in this ridiculously cool – nay, TUBULAR(!) 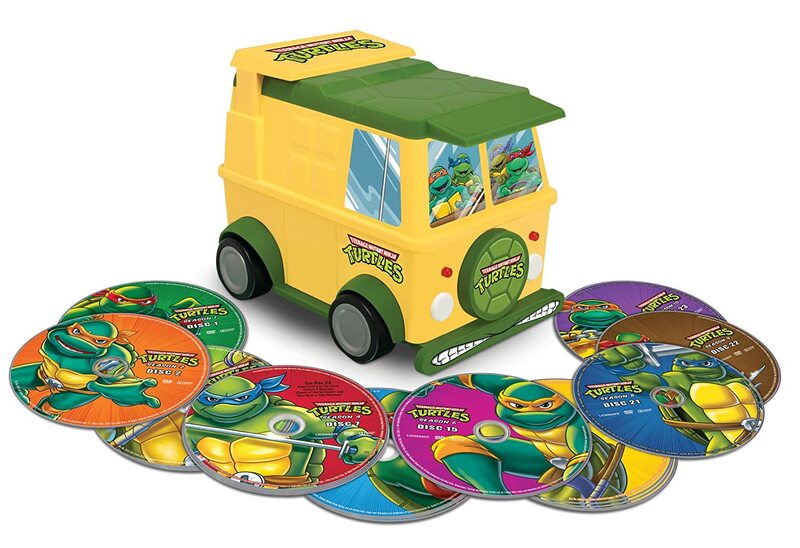 – box set, which houses the entire series in the Turtle Van, a.k.a. The Party Wagon! It also comes with over 3 hours of bonus features and some serious Turtle Power cred. At almost half off, it’s more than worth it! Order by clicking here to be taken to the deal page for Teenage Mutant Ninja Turtles: Complete Classic Series Collection before time’s up and/or they’re sold out – because with deals like these, I totally foresee some of you missing out… Go, go, go! “Propelled by the creative genius of Tex Avery, Chuck Jones, and Friz Freleng, Warner Brothers’ “Looney Tunes” introduced the world to some of the greatest cartoon characters to ever grace the animated cel: Bugs Bunny, Daffy Duck, Porky Pig, Elmer Fudd, Yosemite Sam, Foghorn Leghorn, Speedy Gonzalez, Pepe LePew, Wile E. Coyote, Road Runner, Tweety, Sylvester, Marvin the Martian, Tasmanian Devil, and many more. 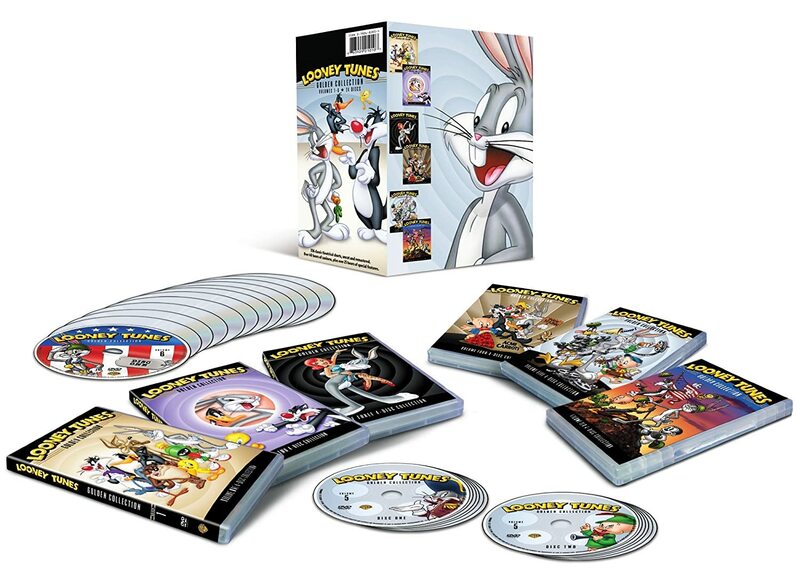 This release includes the first six volumes in the “Looney Tunes Golden Collection”. A Greeting from Chuck Jones, Audio Commentary, Behind-the-Tunes Featurettes, Documentaries, Photo and Art Galleries, Some Shorts Presented in Black & White. If “What’s up Doc” and “That’s all folks!” doesn’t take you back to better times, I don’t know what you were doing as a kid… but it was wrong! Slightly less cool than the TMNT set above, but with a much greater discount which makes up for it, you can snag Looney Tunes Golden Collection for almost 70% off! It should be noted that individual volumes retailed for $50, so getting all 6 for less than the price of one… “a steal” is an understatement! Click here to be taken to the Looney Tunes Golden Collection Vol. 1-6 (6-Pack) deal page before the deal’s gone. P.S. Let us know what you got… Was it a gift for your friend/family/boyfriend/girlfriend, or be honest, for yourself? It’s okay as long as you wait until Christmas to open it! You’re awesome, after all, and you deserve it!